Can abandoned carts be disabled for orders placed via the admin? Yes, there is a setting under Settings > Filters > Abandoned Cart IP that allows you to only target abandoned carts to carts that have an IP address associated to them. 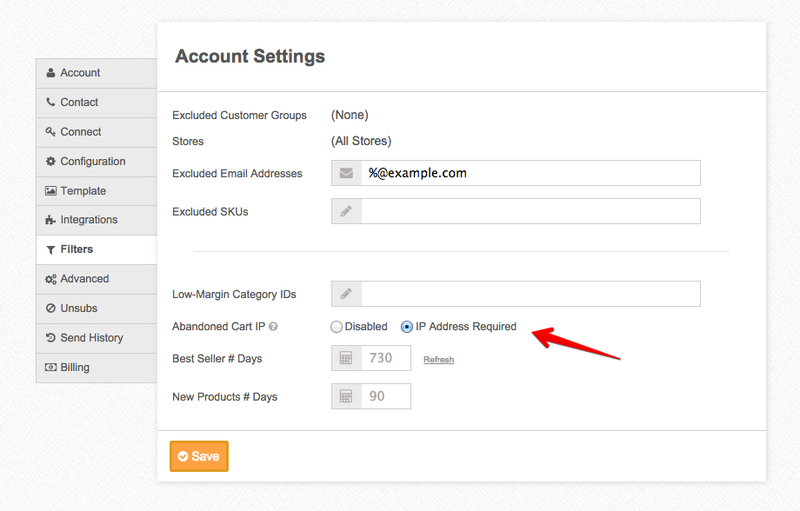 Orders placed in the backend don't have any IP address associated to them. This should also exclude carts that are imported externally from sites such as Amazon or eBay.